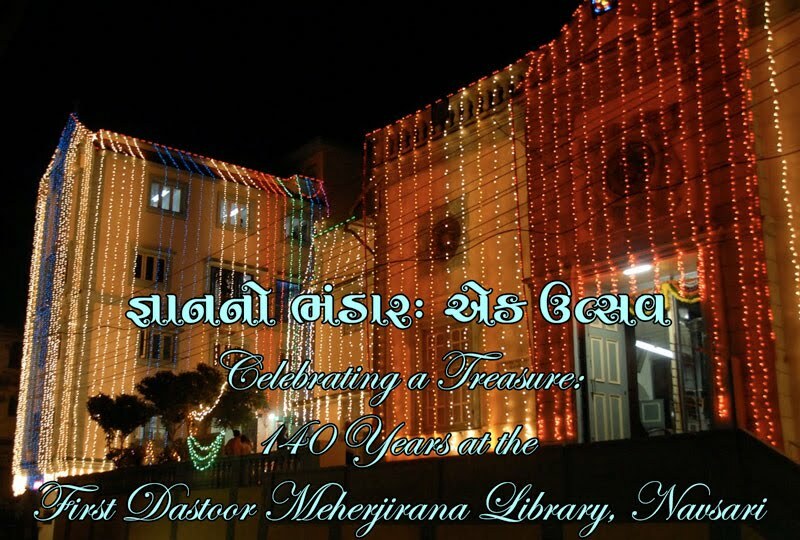 It gives us great pleasure to invite you to participate in a conference entitled Celebrating a Treasure: 140 Years at the First Dastoor Meherjirana Library, Navsari. Since its inception in 1872, the First Dastoor Meherjirana Library in Navsari has continuously served the needs of the people of the city of Navsari, Gujarat, as well as the Zoroastrian and scholarly community in India and abroad. In recognition of its 140 years of service, and in celebration of the completion of a new annex and conference center in the library complex, the Librarian and Board of Trustees of the library, along with the UNESCO Parsi Zoroastrian project, eagerly request your participation in the conference. The purpose of the conference is twofold. First, we hope that the conference will encourage scholars who have visited the Meherjirana in the past, as well as those who are interested in doing so, to gain experience at the library, to acquire an appreciation for its ongoing projects, and to forge and renew links with international and Indian scholars and community members. Second, the conference will foster an understanding of the current state of scholarship and raise awareness in Navsari and in India about the crucial importance of the research that is currently being undertaken around the world. As Navsari is known by Parsis in Gujarati as Dharamnī Ṭekrī "The Mountain of Religion," we are happy to report that a number of members of the Zoroastrian priestly community have already agreed to participate in the conference, and we hope that many fruitful discussions and new friendships between scholars and religious practitioners will arise in the course of the proceedings of the conference. Presentations at the conference will relate to the strengths of the First Dastoor Meherjirana Library's collections. In particular, presentations relating to any period of Zoroastrian religious history, the history of Western India and the Parsi community, art and archaeology, and the field of manuscripts studies, book history, and library science, are strongly encouraged. Participants in the conference will be expected to give short, fifteen-minute presentations on themes related to their research interests. These presentations should be in English and of interest to a general audience – for this reason, we urge scholars to present basic introductions to their subject rather than technical philological research. It is hoped that the papers can be published as a souvenir volume and may provide a useful resource for a public audience in India and abroad which is interested in learning more about these topics. Registration for the Meherjirana Library Celebrating a Treasure conference is now closed. We thank you for your interest in the conference. Registered and confirmed participants should receive an email containing a link to make the registration payment shortly. Any questions should be addressed to conference@meherjiranalibrary.com. For information on making a charitable donation to the library, please contact the librarian at meherjirana_lib@yahoo.com. The library gladly also accepts donations in the form of books and library equipment. Ms. Katy Antia, Chair of the Board of Trustees, First Dastoor Meherjirana Library. Smt. Bharti Gandhi, Librarian, First Dastoor Meherjirana Library. Dr. Shernaz Cama, Professor, Delhi University. 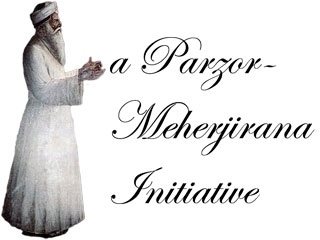 Executive Council, UNESCO Parsi-Zoroastrian Project. Dr. Daniel Sheffield, Link-Cotsen Postdoctoral Fellow, Princeton University. Mr. Dinyar Patel, Ph.D. Candidate, Department of History, Harvard University. All conference participants arriving from abroad are expected to arrange their own transportation to Mumbai. Please note that travel to India requires a visa from most countries. Please contact us if you need assistance obtaining your visa, or in arranging your stay in India preceding or following the conference. For those participants who intend to visit the K. R. Cama Oriental Institute while in Mumbai, please visit their website and inform the librarians of your visit. An air-conditioned coach to Navsari will be arranged for conference participants leaving from Colaba, Mumbai on the morning of January 12. All participants are expected to arrive in Mumbai by the evening of January 11 and to remain in Navsari until the morning of January 16, when the coach will return the participants to Mumbai. If you must make other travel arrangements, trains travel regularly between Mumbai to Navsari, and electronic tickets can be booked online at http://www.cleartrip.com/. Accommodation has been arranged in Navsari. Participants in the conference who are of Parsi or Zoroastrian background can choose to be lodged instead in the guest apartments of Jamshed Baug, located within short walking distance of the conference hotel. Catered light breakfast, lunch, tea, and dinner will be served to conference participants, and will consist of items from Parsi, Gujarati, and Western cuisine. Participants who have special dietary requirements must indicate this on their registration forms. Dinners will be followed by short evening programs in which traditional Parsi song, dance, and crafts are demonstrated to the participants. Please view the conference schedule by clicking here.